I have viewed and / or accepted the material to be installed, and made down payment. I have chosen and confirmed a countertop edge detail and backsplash. The cabinets have been fully prepared for granite including corbels, dishwasher fastening support, and under-mount sink support if none was included by installer. If existing countertops are being replaced, have they been removed completely revealing existing cabinets? Are all potential obstructions removed from pathway to work area? Granite pieces are large and heavy and require skill and concentration to move without breaking. Please have pets and small children clear of work area. Are all lower cabinets in the correct position and securely fastened before countertop installation day? 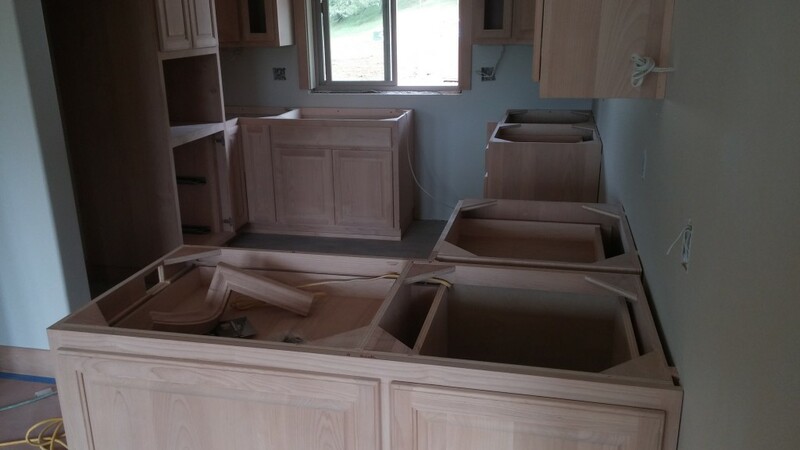 In an attempt to minimize seams, some unique installation situations require upper cabinets to be removed, or installed after countertops are in place. Talk to your fabricator about this situation. Are vehicles moved out of the way so a clear path can be seen from our installation vehicle to work area? No other contractors or persons have been scheduled to work in countertop area on installation day. NOTE: Charges may occur if the applicable requirements are not met. Most counter top jobs are scheduled to be installed in one trip. Additional trips may be needed if requirements on checklist are not met, or if unforeseen circumstances occur.